On 22-23 March 2016, the Danish Ministry of Foreign Affairs and USAID, assisted by the International Coalition for the Responsibility to Protect, convened a workshop entitled “The Role of Atrocity Prevention and Responsibility to Protect in Development Cooperation”. 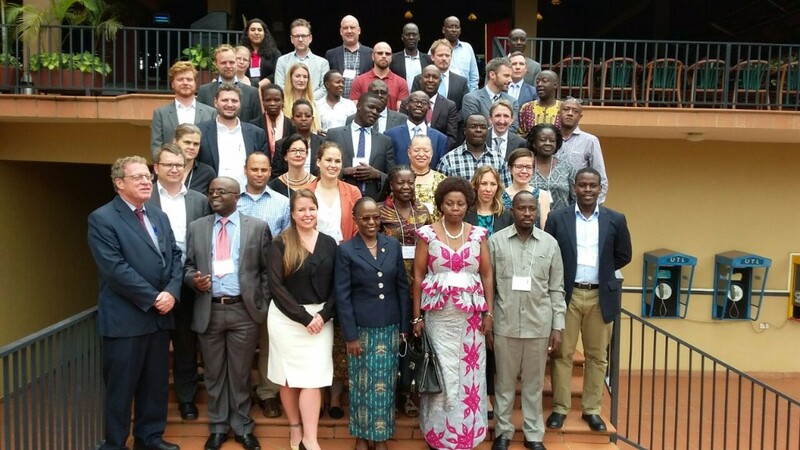 The event, held in Kampala, Uganda, brought together development practitioners, government representatives and civil society actors from throughout East Africa working in a range of sectors including human rights, development, and atrocity prevention.The workshop was the first of its kind to focus on the operational relationship between development cooperation and atrocity prevention. It was convened to, inter alia, identify links between development cooperation and atrocity prevention; introduce RtoP-relevant early warning tools and highlight their relevance for development cooperation; and strategize on practical examples of how development cooperation policies and projects can help to address risk factors relevant for atrocity crimes. According to Kachin and Shan community leaders, the Burmese Army killed and subsequently burned the bodies of several people in northern Shan State. Villagers stated that three people from Noung Kwan village were taken by the Army to a small mountain and then killed. An additional five bodies were discovered in the area. The Burma Army accused the dead villagers of being SSA-N members. The Burmese Army admitted it was struggling to repatriate more than 100,000 Myanmar refugees along the border. The UNHCR has stated that repatriation must be conducted in line with its benchmarks of safety and the willingness of the refugees. However, complicating the repatriation process is the prevalent unwillingness of the refugees to return to Myanmar. The African Commission on Human and Peoples’ Rights presented a report earlier this month to the African Union (AU), which was released publicly late last week. In the report, the AU human rights group called for more military and rights observers and an international police force to be sent to Burundi in order to improve security in the country and guarantee the “protection of people in those areas most affected by violence and which continue to witness it”. On Saturday, peace talks facilitated by the East African Community (EAC) began in Arusha under former Tanzanian President Benjamin Mkapa. Things started off shakily with the absence of several key opposition politicians, including some politicians and civil society representatives in exile. Some have accused President Nkurunziza of only inviting those groups not opposed to his regime. Indeed, after four days of peace talks meant to be an “inter-Burundi dialogue”, the opposition labeled the talks a “monologue” as the government still refused to speak with key members of the umbrella opposition group, CNARED, which has been recognized by the AU and EAC as the “legitimate voice of the opposition”. The UN Independent Investigation in Burundi announced that it has completed a deployment of a team of human rights monitors on the ground in Burundi and neighboring countries where Burundian refugees have fled. The team plans to present their final report in September 2016 to the 33rd session of the Human Rights Council. On Wednesday, gunmen killed three people, including retired army Col. Ruyifiyi Lucien, the chief of judicial police, and a guard at the ruling party’s offices. Since January, at least 130 assassination cases have been investigated in Burundi in continuing violence associated with the extension of President Nkurunziza’s time in office. Medecins Sans Frontieres (MSF) announced that it would suspend its operations in part of the Central African Republic after an attack by armed men on its employees in Kouki left one person dead. Leaders of the ex-Seleka militant group have said that the armed rebel group would only hand over their weapons if some of its members are appointed to positions in the government. The head of MINUSCA has promised to do everything possible to reach a goal of “zero occurrence” of sexual exploitation and abuse committed by MINUSCA troops through a “rebirth” of peacekeeping. In order to achieve this, he said UN member states must train and equip their troops properly to handle the brutal conditions in the country. On Thursday, thousands took to the streets nationwide to protest against current President Kabila in defiance of a government ban on the demonstrations in some places. Although demonstrations were authorized in Kinshasa, they were banned in places such as in the North Kivu province and Lubumbashi City. Human Rights Watch has claimed that the government has “sought to silence dissent with threats, violence, and arbitrary arrests” and the UN High Commissioner for Human Rights has demanded that government authorities allow the demonstrations. Maman Sidikou, the Special Representative of the Secretary-General and Head of the UN mission in the DRC, MONUSCO, has released a statement expressing great concern regarding the increasing political tensions in some areas of the DRC and has urged both the majority and opposition parties to “reawaken” their patriotism “to place the interests of the country above any other consideration.” On Wednesday, UN Secretary-General Ban Ki-moon also strongly expressed his concerns over the uncertainty surrounding the electoral process. He further urged all parties to express their views in a peaceful manner and to exercise restraint ahead of demonstrations planned for 26 May and encouraged all political stakeholders to fully cooperate with the AU Facilitator for the National Dialogue in the DRC. A high-level delegation consisting of representatives from the UN, AU, the Southern African Development Community (SADC), and the International Conference on the Great Lakes Region (ICGLR), is currently in the DRC in an effort to neutralize the active rebel groups in the country. On 20 May, Israeli Defense Minister Moshe Yaalon announced his resignation, stating the governing party had been seized by “extremist and dangerous elements”. On 23 May, Israel resumed deliveries to the Gaza Strip of cement for home reconstruction by private persons, ending a 45-day-old ban it imposed after accusing Hamas of seizing the majority of the shipments. Israeli Prime Minister Benjamin Netanyahu has renewed his rejection of a French peace plan, telling the visiting French prime minister that peace cannot be made at international conferences but only through direct negotiations. The French are planning to hold ministerial-level talks on June 3 as a first step in reviving Israeli-Palestinian peace negotiations, which ceased in April 2014. At first, the talks would not include Israel and Palestine but only the US, Russia, the United Nations and the European Union, and other Arab and European nations. The Palestinians, meanwhile, have welcomed the French effort. On 25 May, the United Nations envoy for the peace process in the Middle East warned the Security Council that, as the scenario on the ground worsens, simply regretting the failure of a two-state solution has become the status-quo. Noting that the will for peace clearly exists, Mr. Mladenov stated that it is the lack of political will and bold leadership that is holding back the peace process between Israel and Palestine. Mr. Mladenov said that the beginning of May saw the largest increase of violence between Israel and Hamas in two years. On 26 May, Israel launched airstrikes against several targets in the Gaza strip in retaliation for rockets fired hours earlier into Israel. Arabic media reported that Ajnad Beit Al-Maqdis, a Salafist group operating in the Gaza Strip, claimed responsibility for firing the rockets. However, Israel holds Hamas responsible for any acts of perceived aggression that originate in Gaza. On 23 May, the Iraqi Prime Minister announced the start of a major government offensive to retake Fallujah from ISIL. The initiative is expected to serve as a precursor to a long awaited offensive on the northern ISIL-held city of Mosul. Speaking on Tuesday, U.N. Secretary-General Ban Ki-moon says there is “a great risk” to roughly 50,000 civilians in Fallujah, particularly those heading towards the frontlines. The UN has stated its desire to see the creation of a “safe-corridor” for civilians. In the first signs of progress in the offensive, the Iraqi government and supporting militias have taken the town of Karma from ISIL; roughly 16 kilometers (10 miles) northeast of Fallujah. The capture means that Iraqi forces essentially control the entire area east of the city. On 23 May, at least 2 people were killed and 4 injured in a bomb attack that hit a market south of Baghdad. On 24 May, Iraqi Kurdish Peshmerga forces repelled an attack near the northern city of Kirkuk. On 25 May, several bombings in Baghdad killed 12. The worst bombing took place in Tarmiya, 30 miles north of Baghdad, where a house exploded as troops entered, killing five troops and wounding three others. Seperately, a bomb went off in a commercial area of Baghdad’s southern Abu Disher neighborhood, killing three and wounding 10. Two other bombs went off in the northern district of Saba al-Bor and the town of Mishahda, killing four people and wounding 16. According to a senior official in the Kurdish Directorate of Displacement and Migration (DDM), the number of internally displaced Iraqi and Syrian refugees in Kurdistan has reached 1.67 million. There are 40 camps in the region for the displaced but the majority have been renting living quarters privately. At least one person has died in the city of Kisumu in western Kenya during opposition protests calling for the current electoral commission members to resign ahead of the upcoming 2017 presidential election due to their alleged bias in favor of the ruling Jubilee coalition. On Tuesday, a Kenyan court charged nine men for their roles in an earlier protest. The country’s main opposition group, called the Coalition of Reform and Democracy (CORD), has claimed that police shot and killed two others in self defense during protests in the city of Siaya. President Uhuru Kenyatta has said that if the opposition wants reform of the electoral commission, they should use constitutional measures to achieve it. On Wednesday, CORD announced that it would suspend the weekly protests against the Independent Electoral and Boundaries Commission (IEBC) in order to give a chance to recent calls for talks to resolve the issue. The suspension of the protests is set to expire on 5 June if the government does not agree to talks. On 22 May, Libyan diplomats began urging restraint over a US plan to arm and train the country’s militias again to battle the growing Islamic State threat, fearing a repeat of the Pentagon-led program that ended with only a few hundred trained fighters and U.S. weapons in the hands of Islamist militias in Libya. Europe’s intentions to support Libya’s new UN-backed government have stumbled as France and Germany resist a leading role in the reconstruction of Libya. Both the EU and NATO have pledged their support and stated that they stand at the ready to help the unity government, if requested. However, both Germany and France are advocating that the UN must be the first ones to move, expressing caution over another NATO-led mission into Libya. The UN has warned that security and humanitarian conditions are worsening in southeast Niger where hundreds of thousands are now hosted, including many who have fled Boko Haram and the violence in Nigeria. Around 157,000 refugees from Nigeria are living in 135 makeshift camps around a 200 kilometer stretch of a highway in Niger that runs parallel to the Nigerian border and Komadougou River. Of $112 million needed for 2016 by the 22 aid agencies serving the Diffa region in southeast Niger, only around $20 million has been raised. On 20 May, South Sudan’s Council of Ministers in the Transitional Government of National Unity announced that all prisoners of war would be released. On 23 May, the EU released a report criticizing “all parties” in South Sudan for human rights abuses and killings of civilians. The EU has been working with the UN as well as engaging in an arms embargo and visa bans. This criticism comes in light of the international communitywithholding the transfer of funds to South Sudan for reconstruction due to the lack of progress in forming a unity government and the ongoing abuses. On 22 May, South Sudan’s deputy head of diplomatic mission to Khartoum, Kau Nak Maper, said the governments of the two countries have agreed to resume the meetings of the Joint Political and Security Committee (JPSC) on 6 June in Khartoum. The UNSC had recently emphasized this as a requirement to move forward on formalizing security at the shared border. In a recently released report, Human Rights Watch has highlighted how South Sudanese government soldiers have carried out a wide range of often-deadly attacks on civilians in and around the western town of Wau. The report details how soldiers have killed, tortured, raped, and detained civilians and looted and burned down homes.The abuses in the Western Bahr el Ghazal region took place during government counterinsurgency operations that intensified after an August 2015 peace deal. On 24 May, the Enough Project released its latest policy brief detailing how the government’s “violent kleptocracy” became a root cause for the atrocities and instability. Sri Lanka has announced that it will set up an office to investigate the disappearance of over 20,000 people who are still missing seven years after the end of decades of fighting in the country in 2009. Sri Lankan Foreign Minister Mangala Samaraweera said that the Office of Missing Persons (OMP) will be tasked with making recommendations for compensation and legal processes for families of the deceased. On 22 May, the UN announced that Sudan has “de facto expelled” a senior United Nations humanitarian affairs official after refusing to renew his “stay permit” for another year. Mr Freijse has become the fourth senior UN official to be expelled from Sudan over the past two years. On 22 May, eight people were killed in an attack on a mosque near El Geneina, the capital of Sudan’s West Darfur State. On 26 May, the Syrian Observatory for Human Rights released a new report calculating the number of deaths in the Syrian civil war. The total of 282,283 includes: 81,436 civilians, comprised of 14,040 children and 9,106 women. Deaths within the Free Syrian Army accounted for 48,568 ,while jihadists deaths totaled 47,095. The Observatory documented the deaths of 101,662 pro-regime fighters, including 56,609 government soldiers. Another 3,522 of the deaths have gone unidentified. Another recent report, released by the U.K.-based Syrian Observatory for Human Rights, stated that 60,000 people have died in government detention facilities since the start of the war. At least 20,000 of the deaths are said to have happened at one location, the government’s notorious Sednaya prison near Damascus. In February, the “Supporting Syria and the Region” conference in London was hailed as raising the largest amount for a humanitarian crisis in a single day. But a new report from Concern shows that only a fraction of those funds have since materialized. The report highlights how 94% of donors have not turned their pledges into actual commitments, with only three nations having actually fully committed their funding pledges. On 24 May, Syrian aid workers at the World Humanitarian Summit (WHS) in Istanbul askedthe international community for more protection from deadly attacks, Nearly 10,000 doctors have fled the country since the beginning of the conflict and only 1,000 are left in rebel areas. On 22 May, the Free Syrian Army gave the regime a 48-hour deadline on Saturday to halt violence against the group’s strongholds in the suburbs of Damascus or they would abandon the “cessation of hostilities” agreement. The next day, however, Russia called for a truce in the suburbs of Damascus to begin on Tuesday and last for 72 hours. On 25 May, Russia further announced that it has agreed to temporarily restrain itself from airstrikes against al-Nusra in an attempt to give other rebel groups time to distance themselves from the al-Qaeda backed group’s positions. On 23 May, bombs rocked the Syrian coastal cities of Jableh and Tartous, killing more than 100. Scores of others were wounded in the at least five suicide attacks and two car bombs, for which ISIL has claimed responsibility. The Syrian coastal areas have long been government strongholds and have remained relatively untouched by the civil war. Qatar helped negotiate a ceasefire on Tuesday between two warring rebel groups outside of Damascus. Around 500 people have been killed since April, when fighting broke out between rival Eastern Ghouta-based rebel groups, Jaish al-Islam and Failaq al-Rahman. The division was taken advantage of by the government to retake several strategic areas. Jaish al-Islam is part of the HNC alliance of rebel groups, while Failaq al-Rahman is believed to receive support from al-Nusra. On 24 May, the Syria Democratic Forces (SDF), to which the Kurdish YPG belong, launchedan operation to recapture land between the SDF stronghold in Tel Abyad near the Turkish border and ISIl’s de facto capital in Syria in Raqqa. However, despite earlier claims that this was part of a large scale operation against Raqqa, a SDF spokesperson stated, “The current battle is only to liberate the area north of Raqqa. Currently there is no preparation … to liberate Raqqa, unless as part of a campaign which will come after this campaign has finished.” Syrian Kurdish officials have stated that Arabs should be the ones to lead an assault on the predominantly Arab city. The U.N. envoy for Yemen, Ismail Ould Cheikh Ahmedn stated that peace talks aimed at ending fighting in Yemen are making progress. Though the Yemeni government had pulled out of the peace negotiations in Kuwait with the Shia Houthi rebels last week, on Saturday authorities agreed to return to Kuwait. However, as the negotiators went back to Kuwait, airstrikes struck the capital, Sanaa. After meetings on Wednesday, Ahmed expressed hope that the warring factions in Yemen’s civil war were moving closer to agreement, with discussions moving forward on various military and security concerns including troop withdrawals and movements. The main sticking point in the talks remain the formation of a government to oversee a transition. However, a report published by Chatham House stated that the UN-led peace process is modeled on solving a conflict between two distinct coalitions, and is not structured to reflect Yemen’s underlying nexus of local history, tribal grievances and internecine rivalries. A new report from Amnesty International has highlighted the growing danger of internally displaced people in Yemen returning home to de facto ‘minefields’. On its most recent mission to northern Yemen, Amnesty International found evidence of US, UK and Brazilian cluster munitions used by the Saudi Arabia-led coalition forces. The use of cluster bombs is banned under the Convention on Cluster Munitions, to which the UK is a State Party. After the report’s release, the UK has sought assurance from its Saudi allies that this is not the case. UK Foreign Secretary Philip Hammond told MPs there was currently no evidence Saudi Arabia had used cluster bombs. On 22 May, Yemeni troops killed 13 al-Qaeda fighters in a raid outside the southern city of Mukalla, which was ruled by al-Qaeda until last month. However, Yemeni forces were themselves a target when a twin bombing by ISIL killed 45 army recruits in Aden the next day. A suspected Saudi-led coalition airstrike killed 11 people when it struck a family’s home in the southern Yemen town of el-Mahala. Also on Wednesday, a suspected Saudi-led coalition airstrike hit a mineral water factory in Lahij. A special event highlighting the plight of Syrian civilians will be held at the Parliament of Canada, Ottawa from 5:30-7:00 pm in Room 362, East Block. This event is organized by MIGS, the All-Party Parliamentary Group for the Prevention of Genocide and other Crimes against Humanity, and the United States Holocaust Memorial Museum. On display will be “Caesar’s Photos: Inside Syria’s Secret Prisons,” an exhibit made up of photos of detainees from Syrian Regime prisons. The photos will be shown earlier in the day at Ottawa University’s Human Rights Research and Education Centre beginning at 11:00 am. An evening reception will take place from 7:30-9:00 pm as well. In advance of the World Humanitarian Summit, The Elders, Amnesty International, and the Global Centre for the Responsibility to Protect created a video message urging the UN Security Council to voluntarily restrain from using their veto and adopting a Code of Conduct on resolutions pertaining to preventing or responding to atrocity crimes.